You have many adoption options, and this is the perfect place to begin exploring them. Below, you’ll find Indiana adoption laws and policies and find adoption agencies and attorneys who work with families in Indiana. Each state maintains its own adoption policies, so the process can vary considerably for families in different states. As an Indiana resident, you’ll want to work with an adoption agency or adoption attorney who is very familiar with Indiana adoption laws and policies. Below, learn all about the legal guidelines for families adopting in Indiana whether you’re adopting a newborn through domestic adoption, an infant or older child from U.S. foster care adoption, or a child through international adoption. You’ll find links to adoption agencies and adoption lawyers offering services to Indiana families. Who Can Adopt in Indiana? Single individuals and married couples may adopt. If a couple is married, both spouses must join in the petition to adopt, except in the case of a step or second parent adoption. Prospective adoptive parents must have a homestudy, which includes criminal, child abuse, FBI fingerprint, and sexual offender checks. For step parent and grandparent adoptions, the court may waive the requirement of a homestudy but not the criminal checks. Indiana has a “residency requirement”, which means that only residents of Indiana may file a petition to adopt in Indiana. 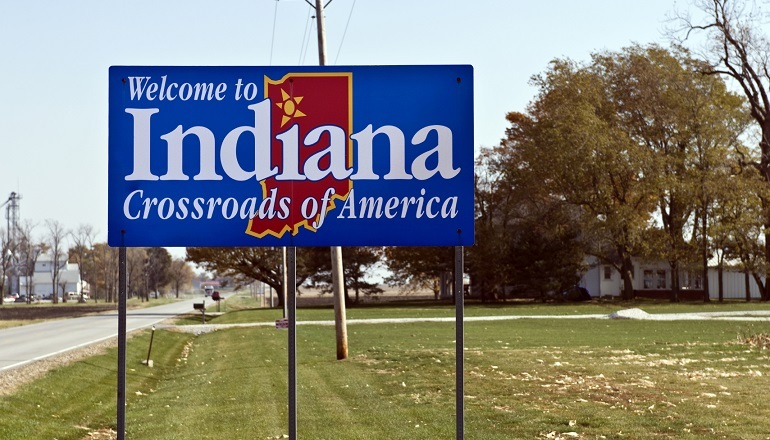 Non-residents of Indiana may adopt a child born in Indiana, but the adoption must be filed in their state of residence. Indiana waives the residency requirement for “hard to place” children. A child is “hard to place” if the child is disadvantaged because of race, ethnic origin, medical condition, age, or part of a sibling group. Can adoptive parents advertise for birth parents? Yes, but agencies and attorneys who are not licensed in Indiana, may not advertise. Can out-of-state residents finalize an adoption? Only for “hard-to place” children. Can adopting parents use an adoption facilitator or another paid intermediary? Only the Dept. of Child Services, the Division of Family Resources, a child-placing agency licensed in Indiana, an attorney licensed in Indiana, or a birth parent or pre-adoptive parent acting on his or her own behalf may have a role in placing a child. What birth parent expenses may be paid, and in what time period? Medical, legal, counseling, living (housing, utilities, maternity clothing, pregnancy/adoption related travel, other necessary. $3000 max. unless approved by court). Lost wages if job loss due to pregnancy, but offset by living expenses and unemployment benefits. 2nd or 3rd trimester to 6 weeks postpartum. Adoption deception by birth mother is crime punishable by jail time, restitution. When does consent become irrevocable? If consent is revoked, is return to birth parent automatic? Upon signing, if birth father signs before birth and it contains the statutorily prescribed language. Upon signing, but with a 30-day window to file a petition to withdraw consent, if signed after birth. After notice to adoptive parents, birth parent must prove it is in the child’s best interest to withdraw consent. If birth parent confirms consent for the court, he/she loses the right to petition. Return not automatic. Are post-adoption contact agreements legally enforceable? Yes, for children two or older. Enforcement is under the jurisdiction of the court. Is a foreign adoption decree automatically recognized by the state? Yes, a decree within or outside the U.S. is recognized by Indiana as long as the adoption decree is issued under due process of law after any Indiana court clerk files and enters the decree upon the order book. When will a U.S. birth certificate be issued? Not addressed in state statutes. Are adoption subsidies available? When do they start and how long do they last? Yes, adoption subsidies are available for a hard-to-place child, who is generally defined by one of the following: 2 years or older, member of a sibling group of two or more, has or is at high risk for developing a medical, physical, mental, or emotional condition at time of adoption petition as documented by a licensed professional. Assistance begins when adoption is finalized. Child must be in the custody of the state of Indiana. Is there an adoption registry? Yes, the Indiana State Department of Health, Vital Statistics maintains the Indiana Adoption History Registry. Who may access information about an adoption? Adult adoptees, birth parents, adoptive parents, and the spouse or relatives of a deceased adoptee or birth parent may request the release of identifying information. Adoptive parents, prospective adoptive parents, and adoptees age 21 or older may request nonidentifying and medical information. Who may apply for an adoptee’s original birth certificate (OBC)? Original birth certificates may only be requested by a child adopted by a stepparent or as provided in statutes pertaining to release of identifying information.